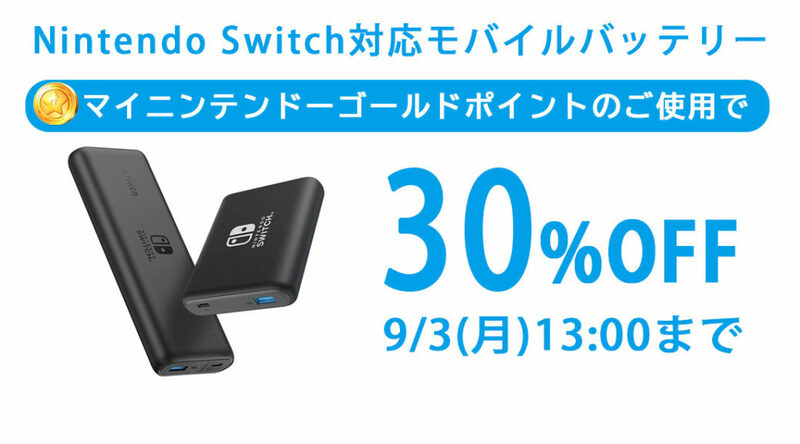 The official My Nintendo Store in Japan has started offering two Nintendo Switch branded power banks from Anker. The power banks are Anker PowerCore 20100 Nintendo Switch Edition and Anker PowerCore 13400 Nintendo Switch Edition. My Nintendo members living in Japan could redeem a 30% off coupon for both power banks for 200 Gold Points (for the 20100 Edition) or 150 Gold Points (for the 13400 Edition). Coupon expires September 3, 2018 1pm JST.